You may have seen my last real wedding, provided by the gorgeous Hannah Stevenson. She filled yellow wellies with flowers as a tribute to the footwear she was wearing when her groom proposed. But wellies don’t need to have a special meaning for you to incorporate them in your day. 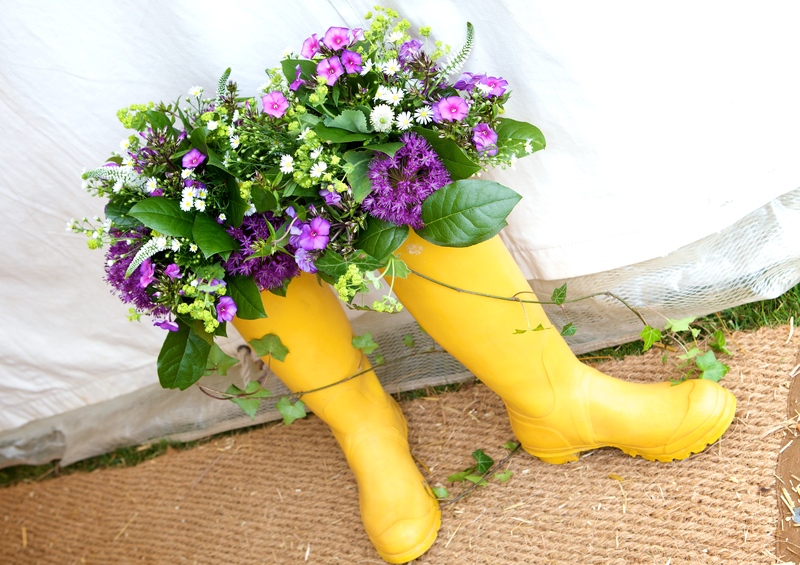 Filling wellies with flowers is a cute and quirky touch that everyone will notice! You can either leave it to a florist or re-pot a potted plant into the wellies yourself. Like this one from Wedding Direct at Amazon. There’s very little you can’t do with them! 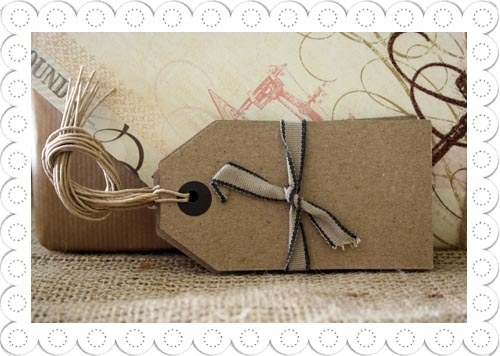 Fill them with flowers for your centrepieces, or hang them around the room at different heights to decorate the venue. Put a candle in them. Decorate them with clip on butterflies, do what you like with them. 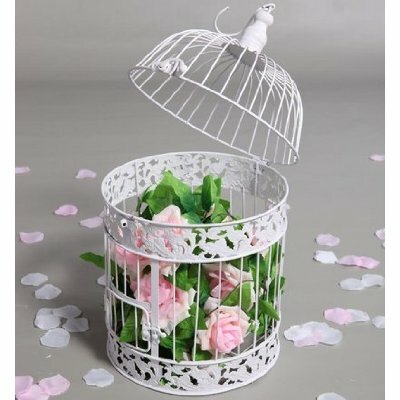 It’s very very difficult to make a bird cage look bad. If buying so many is a bit steep, you can rent them from many vintage crockery and decoration companies. Use them as place settings, hang them up to form a unique table plan, tie them to a vintage suitcase and let people write their honeymoon going away wishes instead of a guest book, tie them to favours, or even write a special message to each of your friends on them, if the wedding is small enough for you to do that! You can get 6 for £2.50 from The Wedding of my Dreams. More vintage decorative touches to come over the next week. Enjoy!